Itaewon Station (Seoul Subway Line 6), Exit 2. Go straight (200m) until you see Ali Baba on the left. Take Bus 110A, 405 (Blue), or 8620 (Green). Get off at Itaewon Sobangpachulso Station. 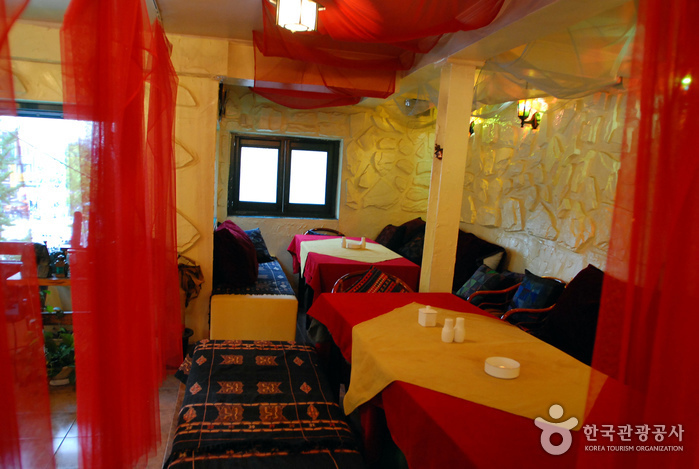 Ali Baba is located right behind the bus stop. Itaewon is home to unique restaurants presenting a smorgasbord of various cuisines from around the world. 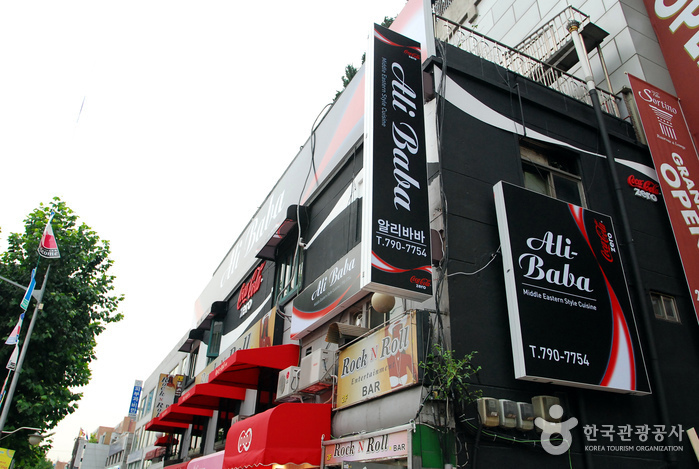 Ali Baba is no exception to the vibrant food culture of Itaewon. 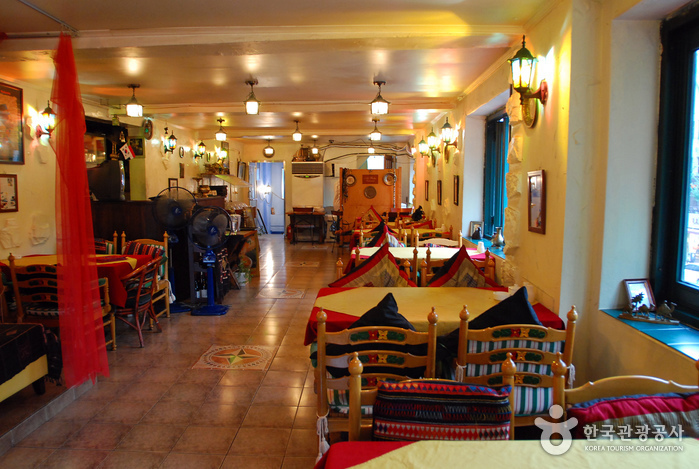 With its homemade Egyptian-style cuisine, white walls, eye-catching decorations, and Arabian music, guests will almost as if they’ve left the country. 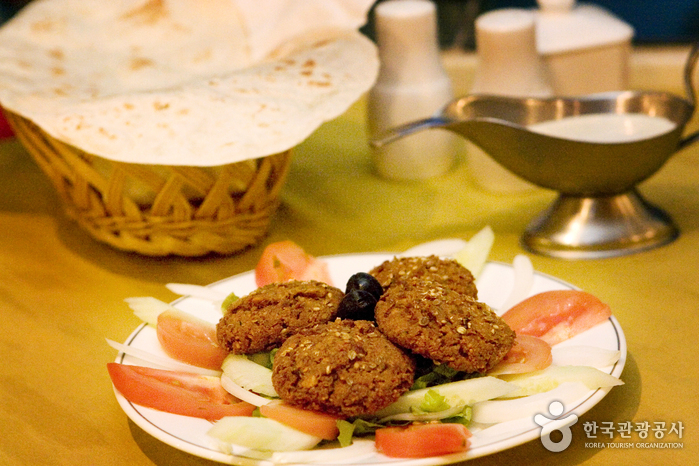 Some of the most popular dishes at the restaurant are the hummus, falafels, and pitas. A variety of meat dishes that have been slightly altered to please the Korean palate are also available. 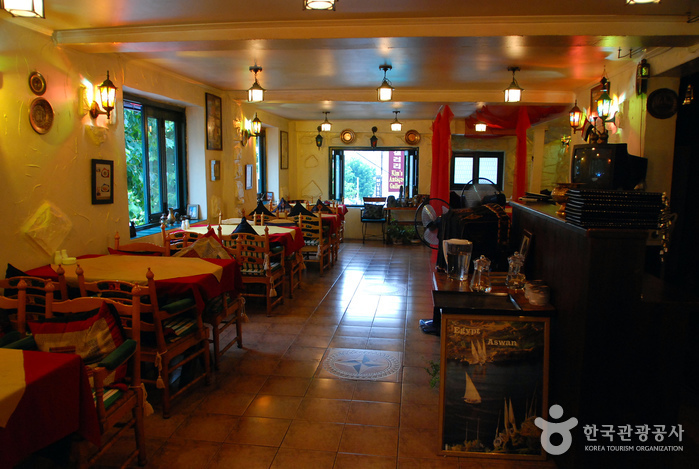 Apart from the delectable cuisine, diners can also enjoy an after-dinner hookah (water pipe) as they sit back and relax with friends.